Last week, the #JamFam team had a fantastic day at the Digital Transformation Conference in London. With inspiring and thought-provoking talks from people like Clive Gardiner, Head of Digital at NSPCC, Bethany Gildersleve, Head of Delivery at Sky Betting and Gaming and Bruce Daisley, Vice President EMEA at Twitter and many more. This was a massive topic at the event. In recent times the focus has been very much on improving the customer experience and meeting their expectations, whereas now there seems to be a shift towards looking inwardly at the internal systems and processes of our businesses, to enable the huge organisational change required to deliver new experiences and products at speed. 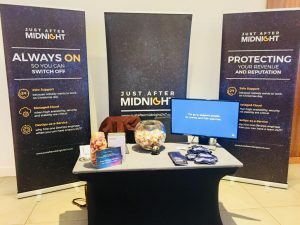 This includes workspace communication tools, Cloud migration and DevOps, because in today’s world, organisations need to respond and adapt to the ever-changing digital environment fast. The speed at which things change, and technological advances means that what you think you know can be obsolete in a matter of months. Perpetual change is now the one thing you can be sure of, and to stay on top of this, it is vital to instill a culture of learning. There is talk of moving away from a delivery mindset to a learning mindset, although we might argue that both learning and delivery are key when looking at bringing good products to market in a timely manner. Some of this discussion on learning was based on the customers of tomorrow (children of today), so our next takeaway is exactly that. There was great talk from Beano Studios on the importance of understanding how the young people of today consume media, use the digital tools and platforms at their disposal and are far more enterprising and aware of world affairs than you can possibly imagine. Understanding this and how it impacts the future of your business as a whole is critical. Nobody needs to be told anymore that data is key to an organisation’s success in securing and keeping customers/donors, tracking competitors, generating leads, building better products and retaining partners. It’s how to manage it that needs to be well thought out. The quantity of data that now needs to be kept is huge and growing exponentially. This highlights the need for Cloud adoption, for organisations to be ready to expand their provision for data storage accordingly and promptly and then use cognitive services to query and make sense of these huge volumes of data. No good conference goes by without someone trying to kill something off ‘dead’. The argument was made by a couple of the great panelists from Made by Many, Charities Aid Foundation and HSBC. 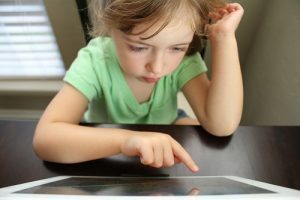 The argument is that there shouldn’t be a specific term for “Digital Transformation” as it should be inherent; it should go without saying, after all if you are not yet digital in some way, your business is already suffering. Saying that, some organisations with old legacy systems are choosing to start anew rather than transform. Rather than trying to reinvent their existing systems they are creating small, almost start-up wings to their organisations. Beano Studios was a great example of this. Most adults will remember the Beano comic, it’s one of the oldest in the UK. 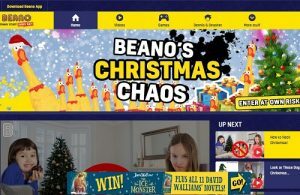 In order to survive the demise of the hard copy comic format, they have revived and re-branded and added a whole new concept – an interactive gaming website to appeal to their target audience at https://www.beano.com/. One lesser point put a good one to finish on at this time of year was information overload. The term “Information Overload” was created in 1964 by Bertram Gross in his book, The Managing of Organizations: the Administrative Struggle. It is a real phenomenon, and something we can all relate to. We have texts, emails, WhatsApp messages, Slack messages, monitoring alerts, and passwords to remember (all different of course); we are bombarded! In the run up to Christmas, it’s a great time to think about how to address this and take some time out. Of course, it goes without saying, that Just After Midnight will be around all through Christmas making sure the lights stay on. Get in touch to see how we can help you prepare for 2019 or simply have a rest during the holidays.